Ivana is a quite talented Hong Kong singer and songwriter. 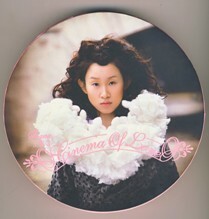 She has written songs for influential musicians, for example Jacky Cheung! I still haven't checked her out that closely yet, but it seems like she can actually write many genres. According to Wikipedia she can also play drums, which is kind of cool! Props Pau! She's new to me! I'll definitely look into her, she's supposed to be the indie of indie singers in Hong Kong, I'm gonna lose weight TEAMDDPYOGA! As far as Hong Kong female singer-songwriters go, they don’t get much more influential than Ivana Wong. She composes her own songs, writes her own lyrics, does her own arrangements, writes chart-topping hits for other artists and is even starting to dabble in musicals. Over the past decade, she’s managed to fly the flag for actual musicians in the Cantopop industry. Think Regina Spektor with a big Cantotwist à la Faye Wong. She knows how to write a pop hit for sure, but can also do indie rock, jazz, lullabies and her dream-like ballads. “Sometimes I want to write something popular that everyone will like – but I also want to take risks. It’s my responsibility to showcase a variety of musical sensibilities to the audience,” said Wong at an awards ceremony last year, emphasising her differences from many others floating around in the industry. 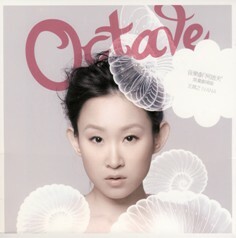 Her recent output reflects the varied approach Wong brings to her music. Huge hit Apocalypse, recently remixed to incorporate dialogue from Wyman Wong and Miriam Yeung, goes the heart-wrenching ballad route, Anne Frank is a soft-subtle lullaby with an eerie tune and her recent single, Water Lily, is a theatrical rock number with distorted guitars, haunting strings and Wong’s signature wail. Over the past decade, Wong’s popularity has steadily been rising, culminating this fortnight in what may well be her biggest moment: a pair of concerts at the home of Cantopop, the Hong Kong Coliseum. We imagine there’ll be plenty more of where they came from in the future. Ivana Wong plays the Coliseum on October 28-29. Tickets: 2734 9009; www.urbtix.hk.